Hello there friends! I hope you all are having a great February! 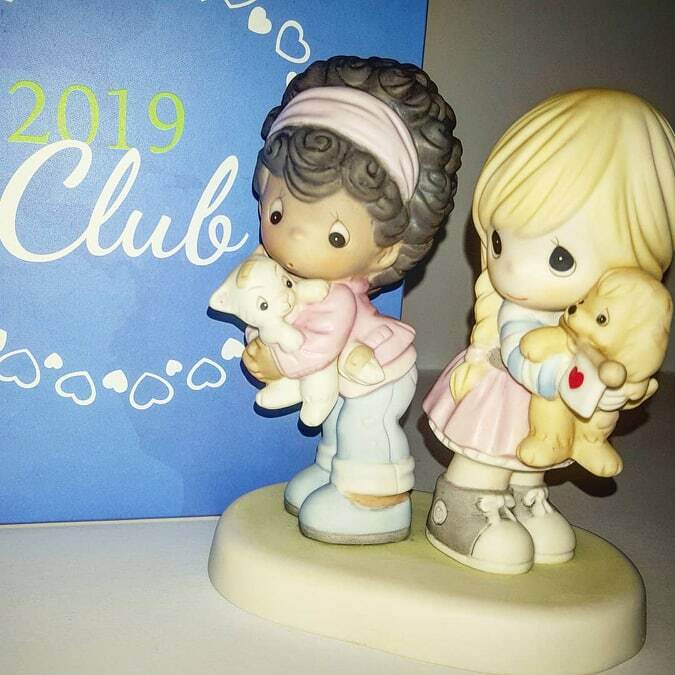 This month we were invited to take a peek at the Precious Moments has a Collectors’ Club and we were thrilled. I was offered 3 to chose from and let me say it was not an easy decision to select only one. 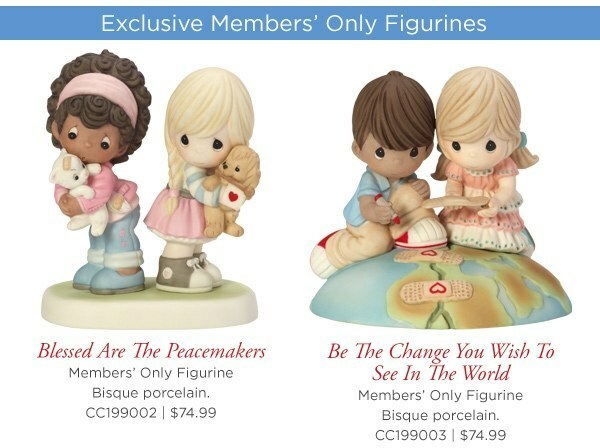 We were sent the exclusive members' only figurine called, "Blessed Are The Peacemakers". And my Daughter, Sarah is absolutely in love with this figurine...but who wouldn't be? It's so sweet and the 2 girls look so much like my daughter and her best friend. I myself, have always been amazed at the amount of detail and design that goes into each of these figures. 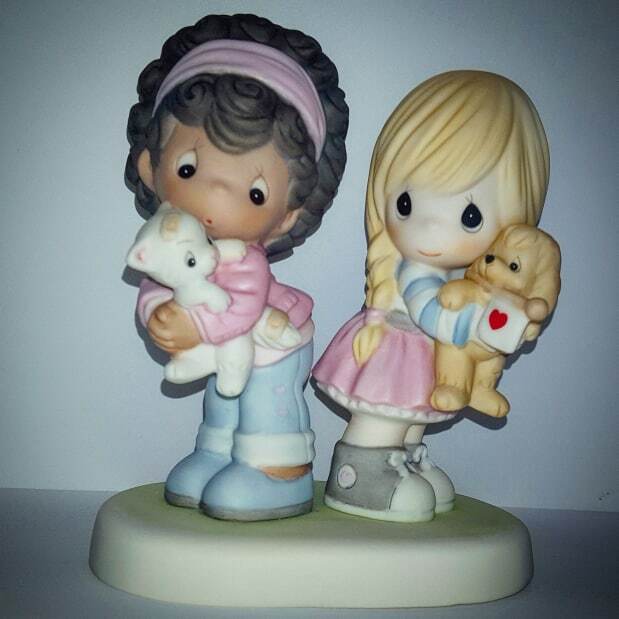 These figures are only available for purchase for the Precious Moments Collector's Club Members. 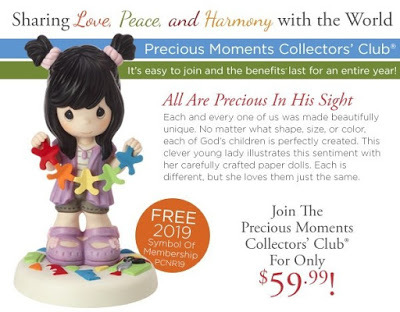 They will not available for purchase by the general public, so if it's one you want to add to your collection, be sure to sign up for the Precious Moment's Collector's Club today. The simple classic elegance that each of these pieces invokes is sure to become a treasured family heirloom for generations to come. Please visit and follow Precious Moments on the following links to stay up to date on the latest collections they have to offer: Instagram, Facebook, and Twitter. Wishing you many blessings for 2019 from our family to yours and as always keep it Southern Y'all!